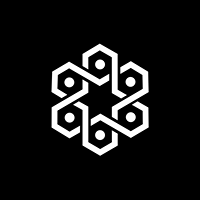 Powered by Shamir’s Secret Sharing cryptographic algorithmShamir’s Secret Sharing cryptographic algorithm, the Vault Cryptostorage platform distributes secrets across a trusted mesh network of personal mobile devices. Designed to be used alongside traditional hardware, software and online wallets, the Vault12 app gives cryptocurrency owners a back up cryptographically secure from a variety of threats. Vault12 releases white paper outlining project, distributed security network, token economics and live demo of Vault cryptostorage app alpha. Alpha build of of Vault12 mobile app for iOS goes live on Vault12 Secure Relay Network. First version of Vault12 Secure Relay released for community review. Vault12 is formed to solve the problem of distributed, secure crypto-assets storage. "Linked my name to Golden profile"
The Vault Cryptostorage platform, Vault Guardian Token (VGT) and, Vault12 applications are designed to scale to the needs of cryptocurrency owners, ICOICO investors, professional cryptocurrency traders and high net worth investors, who require sophisticated storage and security policies to safeguard their assets. Decentralized, serverless, digital custody solutions are the first applications to be delivered on the Vault Cryptostorage platform.